InTouch Partners casino group produces exclusive slots, casino and bingo games for its own popular casino brands mFortune, PocketWin, Mr Spin and Dr Slot. Producing all their exclusive slots, casino, and bingo games 'in-house' means all of InTouch’s casino brands offer a premium experience that players won’t be able to enjoy anywhere else. 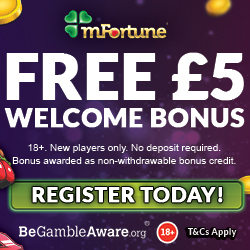 Depending on the 4 online casinos, you get a sign up bonus, going from £5 free with no deposit required (mFortune casino and Pocketwin casino) to 20 free spins welcome bonus no deposit required (Dr Slot) or up to 50 free spins as a welcome bonus ( Mr Spin casino). Note the ramarkable free spins offer at Mr Spin casino comes with only a 1x wagering requirement!. 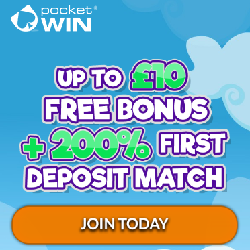 mfortune casino and Pocketwin casino both offer a 100% first deposit match up to £100, no wagering. This is a 'once only'-bonus for new players! 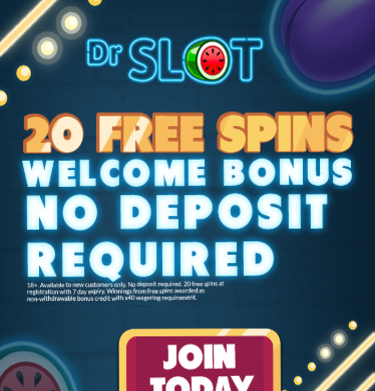 Dr Slot casino offers, once you have made your first deposit of at least £10, 100 Free Spins on a slots game of our choosing. These (deposit) Free Spins will be released to you being 10 free spins a day for 10 consecutive days. 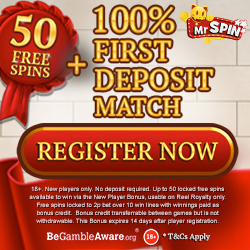 Mr Spin casino rewards his new players on top of their sign up offer a first deposit 100% matched, up to a whopping £100. To qualify for the First Deposit Match Bonus, your first deposit must be £3 minimum.